What pops into your mind when I say ice cubes? Most likely cold drinks. They are a nice add-on aren’t they? In this case, the ice cubes I’m talking about are not add-ons, but smart containers for experiments on the International Space Station (ISS). What for? Experiments. Future-oriented experiments in microgravity on board the ISS. Getting your experiment aboard the ISS has never been easier. And you have the chance to conduct research in space with the European Space Agency (ESA) New Business Ideas Prize of the Space Exploration Masters – Europe’s first innovation competition dedicated to space exploration. And we are not talking about in 20 years: The first experiments of the International Commercial Experiment Cubes Service (ICE Cubes) infrastructure are scheduled for 2018! They represent the first European commercial opportunity to perform research in space on the ISS. More precisely, they enable research in microgravity inside ESA’s Columbus laboratory aboard the ISS. What does it take to fulfil your dream of a lifetime and beam your experiment to the ISS? The answer is ICE Cubes. They sound like the perfect match to a refreshing drink. But actually, they are small modular containers – 10x10x10 centimeters – integrated into a rack with the size of a microwave oven. They are connected to electrical power and monitoring systems. Thereby they are able to transmit experiment data back to Earth through the ISS infrastructure. Through the ICE Cubes Control Centre continuous access to the cubes is ensured in near real-time from offices, classrooms or laboratories. Wouldn’t it be fantastic to have access to ICE Cubes own mission control software or have the option of using the ICE Cubes API to build your own? The winners of ESA’s New Business Ideas Prize will be able to, by using this unique commercial possibility to conduct research in weightlessness. The ICE Cubes research and technology platform with experimental cubes establishes a frequent and fast-track service in low Earth orbit (LEO). ICE Cubes allows to make the unique environment of microgravity more accessible to anyone who conducts forward-thinking experiments. 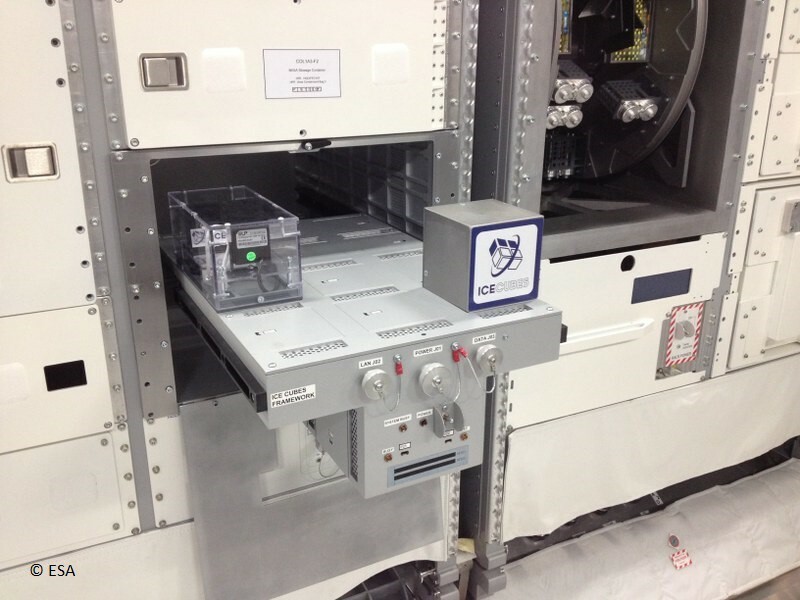 In 2018, the first five experimental cubes will be on the ISS. 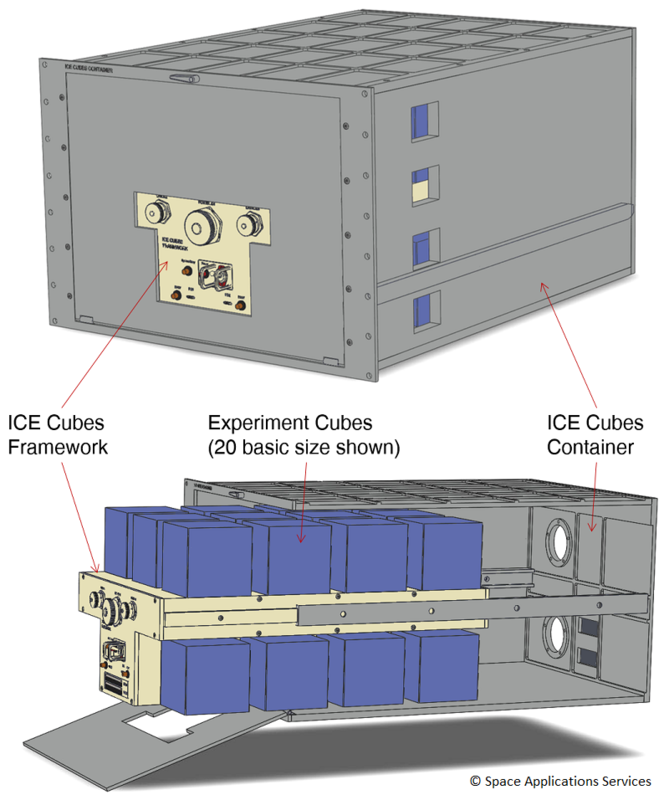 ICE Cube’s service includes the launch, operations and possible return of the cubes. What ESA is Specifically Looking For? The submitted ideas should address an identified problem with a clear business case and hence benefit from the ICE Cubes infrastructure. In 2017, AZO has launched the Space Exploration Masters on behalf of the European Space Agency (ESA) and in line with the goals of the ESA Space Exploration Strategy, in cooperation with strong world-class partners. The Space Exploration Masters is an international competition to identify best technology transfer business successes, as well as to empower and foster business innovation around space exploration activities in Low Earth Orbit (LEO), on the Moon, Mars, or beyond – for the benefit of society and Earth.